This book is one of the many books I’ve stolen from my mother (technically “borrowed”, but I’ve had it so long now she’s probably forgotten I ever took it). I picked it up one time I was visiting her house, intrigued by the name, intrigued by the Financial Times quote on the cover: ‘A love-letter to trees’. I, myself, feel I have an ongoing love affair with trees. I’ve never met a tree I didn’t like, and when I travel somewhere new it’s the trees I first want to get to know. I love their greenness. Their shade. Their solidity and endurance. Their diversity. Not to mention that they spew fresh oxygen into the atmosphere (thanks trees!). Where I live now, in humid subtropical Auckland, the trees are enormous. During the spring and summer months they’re dripping with bright, fleshy flowers. Where I was born, in the colder southern regions of New Zealand, dry and stunted trees hug the coastline, bent sideways by the wind. When I was a child I was told that hugging a tree gave you energy, and I believed it to be true wholeheartedly. Even now, when no one is looking, I’ll give a passing tree a surreptitious squeeze. Really – I have always loved trees. 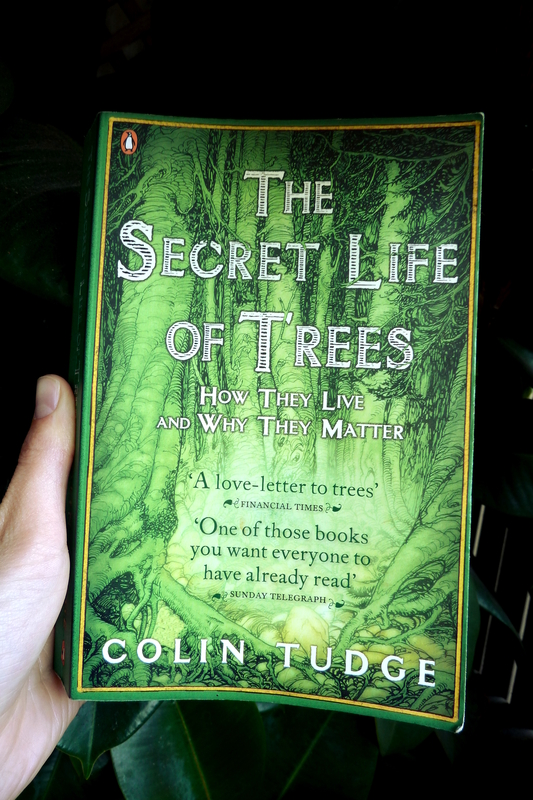 This book made me love trees more. But even if none of that was the case (and trees were just something to have a picnic under), I think I would have gotten a lot out of this book. Having never studied biology past the mandatory first years at high school, my knowledge of plants and their processes was rather simplistic. This book is absolutely jam-packed with incredibly interesting information – about how trees differ from other plant-life, how they’re named and categorised, how they began, how they evolved, how they breed, where they live and why, their relationship with insects and animals… I could go on. In the hands of another (more boring) author all of this could have been delivered as dry facts. Colin Tudge, however, is a storyteller. He has an easy-to-read talkative style, even throwing in the odd joke. With headings such as “What is a tree?”, “Why be a tree?”, “Plants come to land” and “How trees know what to do,” he also manages to merge philosophy, history (up to a few billion years worth) and even sociology with biology. The illustrations are awesome, too. The only downside to this book that I can think of (and for many a plant-lover this will be a positive attribute) is that about half of it is dedicated to specific orders of trees. Personally, I’m happy with a general overview without going deeper into the specifics of leaves, wood and sap. However, it’s easy enough to skip over these parts – once you get over the guilt of not fully reading a book. 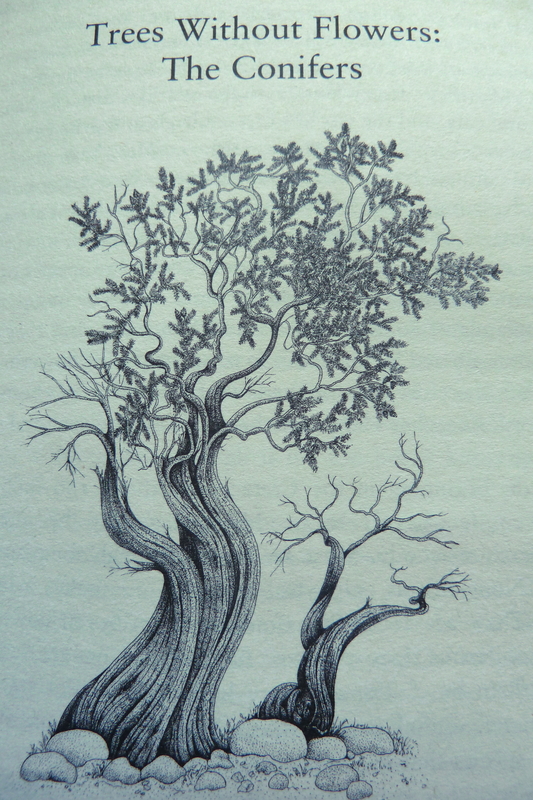 The latter part of the book, titled “Trees and Us” talks about the importance of trees and the benefits of utilising trees more in human industry and life. So it’s absolutely worth fast-forwarding to that part if you get stuck somewhere in the middle of the book. This book is very much worth reading – it will make you look at trees in a whole new way. Cool interview, I.K. Paterson. I’ll have to get my book back! Oops, meant to write ‘review’. Note to self… read before pressing send button.